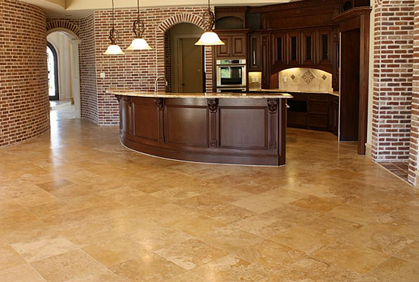 Remodeling the floors of your home is a great way to increase the resale value of the house as well as revamp dull rooms. 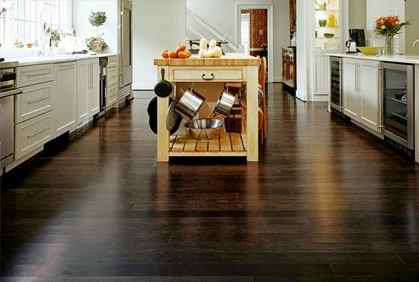 There is a variety of different types of diy flooring ideas ranging from wood to engineered plastics. While hardwood flooring is often the most sought after material for homes, it is not the best option for the homeowner on a budget. Hardwood floor is great for living rooms and bedrooms and can even be used in kitchens and bathrooms as well. However, for DIY homeowners who prefer to do the flooring installation themselves to save some money, hardwood is not the best option. Not only is it costly, but the installation process is time consuming. A better floor material option is to consider is laminate flooring. Laminate flooring tile is synthetically made and sealed with a protective layer to prevent scratches and damage. 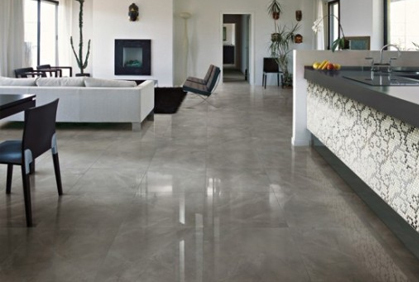 Laminate is a durable material that is moisture resistant so it is great for use in bathrooms. Not only is laminate versatile because of its resistance to water but it comes in a variety of different colors and styles that can match any room. This material can be made to look like different kinds of woods or tiles and come in various patterns. Laminate wood floors are the best alternative option to real hardwood floors because it is both cheaper and easier to install. 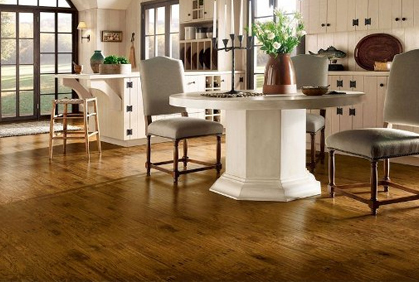 The best laminate floors are the ones that are made to look like hardwood. You can choose from a variety of colors for your bathroom floor ideas, each of which will add a different look to your room. Lighter colors such as laminate mimicking maple wood will help to create the feel of an open space and enlarge the room. Darker colored laminate create a more elegant feel to the room and are best suited for large rooms that don’t need the appearance of open space. In addition to different colors, there are various wood grain textures to choose from. Laminate floor reviews suggest that basic wood grain textures are best for rooms that already have a lot going on with various patterns and colors. 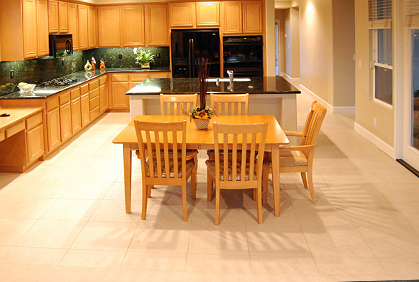 Laminate kitchen flooring is best with little texture because of the wooden cabinets. Laminate flooring for a basement will most likely utilize the wide boards because it is a larger space. Not only do wide boards make the room feel larger but laying laminate flooring will be easier because there will be less boards to install. The narrow boards are smaller than the wide ones and are best used in small rooms. The smaller size creates the illusion of a large space since more boards are required to complete the floor. Not only is laminate easy for DIY homeowners to install, but it is also cost effective for people on a budget. Laminate wood flooring cost is significantly less than natural hardwoods making it the ideal material. 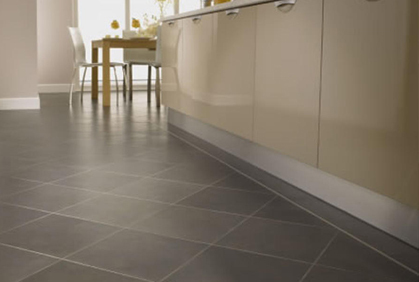 How to clean floors to pick up dirt and dust you simply need to sweep or vacuum the area as often as is needed. To sanitize the floors after a spill or to clean up mud, laminate can be washed with warm water and a mild detergent such as dish washing soap or Mr. Clean. How to repair laminate flooring is relatively easy as well, depending on the problem. Simple scratches or chips can be fixed by purchasing a laminate floor repair kit from your local home improvement store. Replacing boards is easy because the broken board simply needs to be unscrewed and substituted with a new one. Wide boards have a width of 3 inches or bigger and are great for use in larger living rooms. If a board needs to be replaced in the middle of the floor you will have to remove all of the floor boards leading up to it starting from the wall, however, laminate flooring snaps together so putting them back is an easy task.